Re-Jig are an energetic duo playing an upbeat mix of Irish and Celtic jigs, reels and songs on fiddle, octave mandola and tenor banjo. 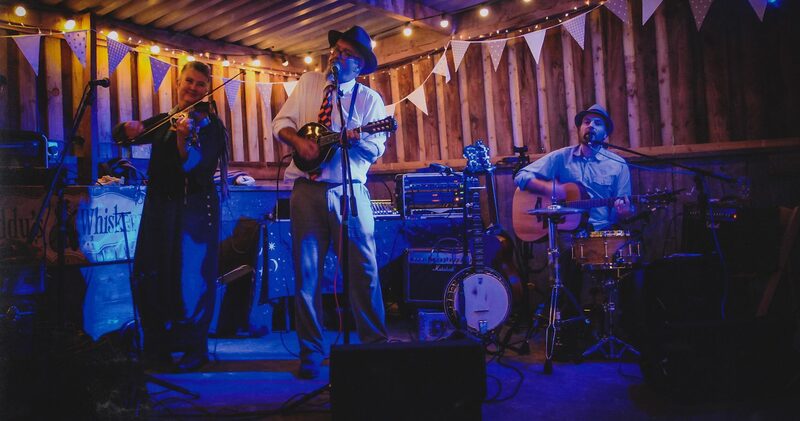 Perfect for smaller venues or tighter budgets, Re-Jig bring all the excitement of live traditional music to any gig or event. Now based in Devon, Andrew and Jules learned their music on the road, during a dozen years travelling around Europe busking and gigging. Their high energy, light hearted style is perfect for pub gigs, weddings, parties, ceilidhs and barndances (for which a caller is also available). Given to experimentation, Re-Jig are currently working to include loop pedals, percussion, remixing and video projections in their shows. To book Re-Jig or for more information – Email: info@paddyswhiskers.co.uk Tel: 01803 520798 – 07514064558.